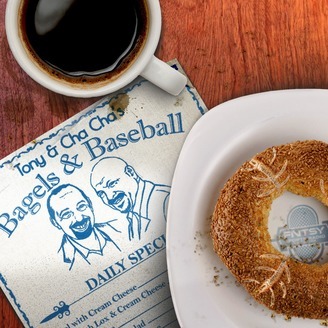 Tune in every Sunday morning for Fantasy Bagels and Baseball! It's the only fantasy sports show where you'll get top-notch fantasy baseball information followed by a discussion on whether or not the onion bagel smells like the trash coming out of the Colorado Bullpen. 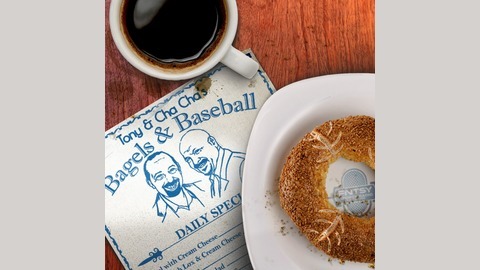 Tony Cincotta and Charlie "Cha Cha" Dicosola, keep you entertained and informed with two hours of passionate fantasy baseball discussion as they devour several bakery items and take you on a journey through the fantasy world. Grab a coffee, load up a bagel with your favorite cream cheese, and tune into two hours of the industry's most unique fantasy baseball show. Broadcast live Sunday mornings from 10am – 12pm ET on the FNTSY Sports Radio Network. True or False, Bagel or Muffin, Hot Dogs, and more! MLB News, Bagel or Muffin, and more! Fantasy Fraud or Fantasy God, MLB Injuries & More! !